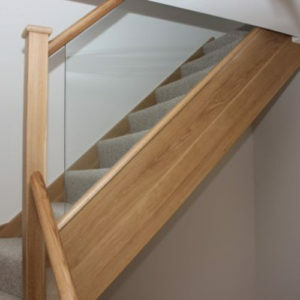 Balustrades come in many shapes and sizes, but glass balustrades add a particularly contemporary feel to the home and can work well with traditional homes as well as modern abodes. 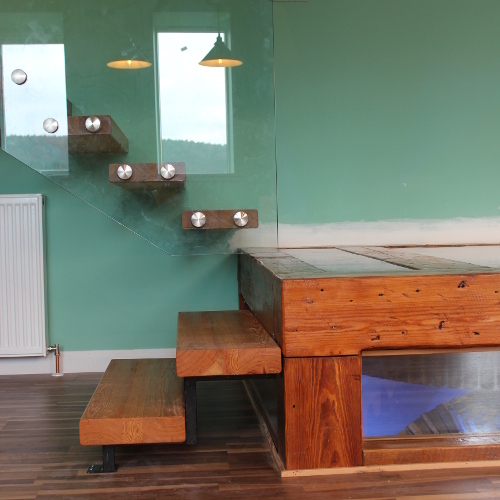 We particularly like balustrades with natural oak newels & handrails with glass panels, like the one below, which we completed as part of a loft conversion project recently. It has added character and warmth to this home in Bridge of Don, Aberdeen. The balustrade has become an elegant feature in the hallway and has added significant light and brightness to a previously unnoticed stairway. 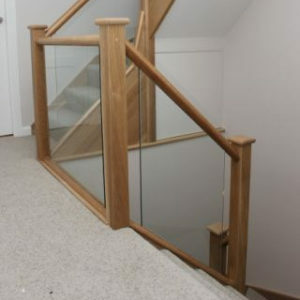 Structural glass can be used without handrails to support the treads of a stairwell. Their beauty is seamless and timeless but of course, all importantly, they provide functionality. 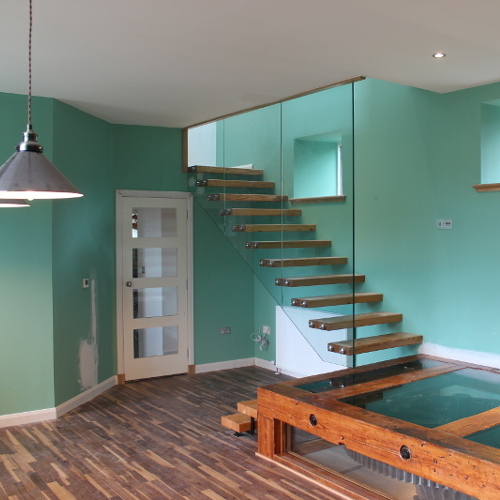 An example of structural glass balustrades is seen below in a refurbishment design project that All Design completed on a home converted from an old listed mill in Aberdeenshire. A structural glass floor was also used on the base of the staircase to expose some of the original watermill cogs. 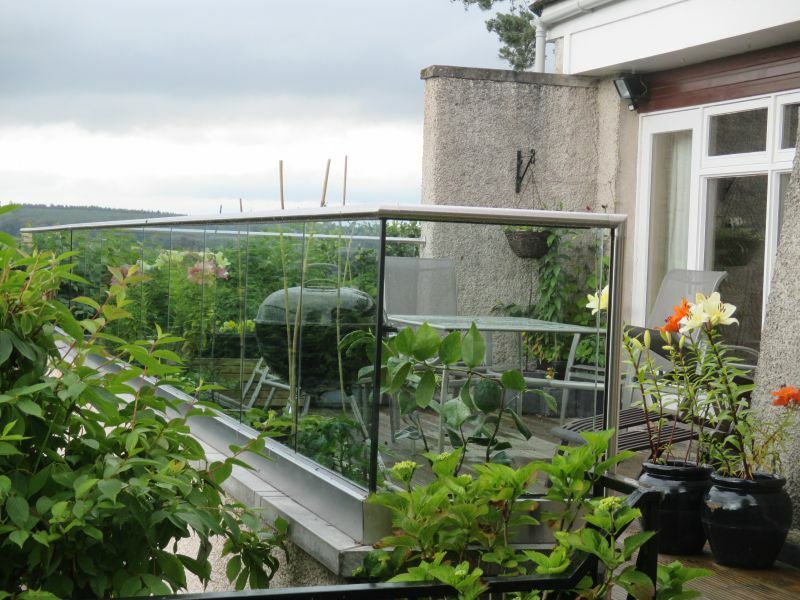 Glass balustrades can also be used outdoors and can look stylish and almost invisible on a balcony or veranda. 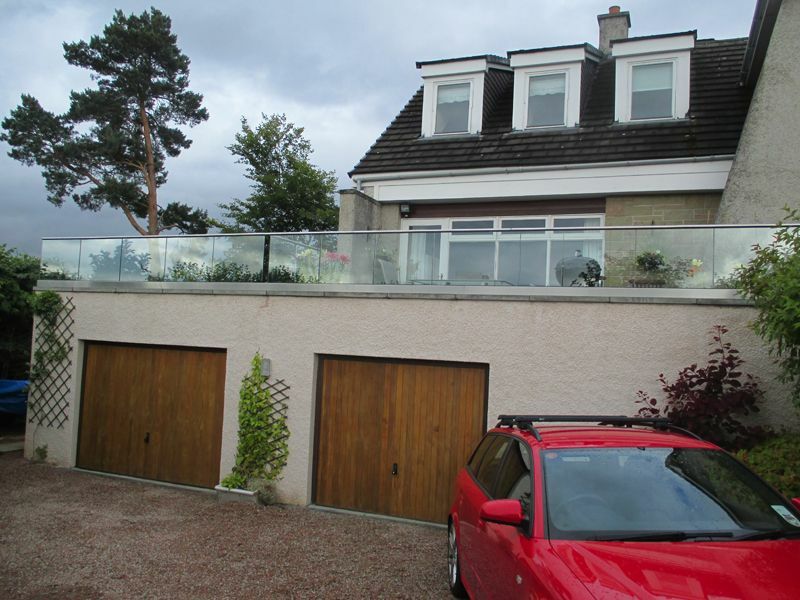 The glass balustrade below was a feature developed as part of a garage re-design project that All Design completed on a house in Aberdeenshire. It is supported by aluminium posts and glass panels. It makes good use of space and adds to the panoramic views of the beautiful countryside surrounding the property. Using a glass balustrade on an external balcony provides essential safety, but with a view. 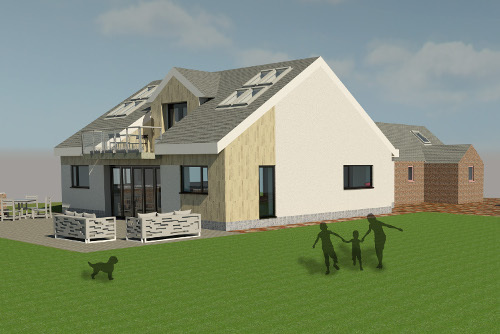 Below, is a recently completed design by All Design that includes a chrome and glass balustrade system used as a balcony feature for an extension project in Aberdeenshire. For more information on glass balustrades, please contact us directly.